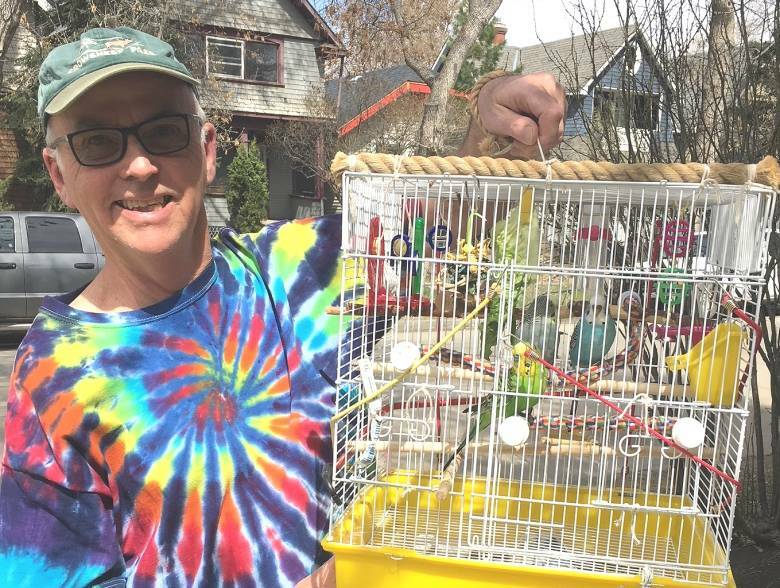 Posted on May 9, 2018 by Michelle M.
Canadian Dave Keeler really loves his budgies. He often takes his birds, Sammy, Melvin and Happy for walks around the neighborhood – and even hangs their cage in a tree at the park. The birds enjoy car rides. “Actually they love a car ride. Just like children, when they’re cooped up they just love to go out,” Keeler said. Thanks to Cooper’s friend, Tam, for sharing this story. 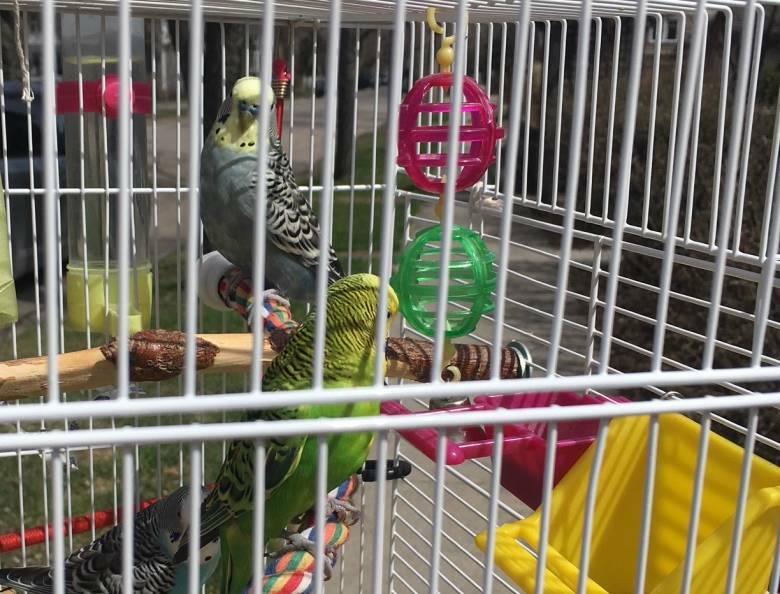 This entry was posted in Feathered Friends and tagged budgie, Cooper, Dave Keeler, Feathered Friends, parakeet by Michelle M.. Bookmark the permalink. My most recent parakeet, Gari, was very scared of the outside. I might do that with my new parakeet. A bird made her nest in my garage. I sometimes accidentally scare her and she flies out through a gap in the garage door. My mom accidentally backed over one of the baby birds. I know that she would NEVER do something like that on purpose.